As 'old' beoworld and B&O fan, Click here. I wish the B&O would at least continue to be part of these new developments. from brands with WiSA such as Klipsch, Bang & Olufsen, System Audio. 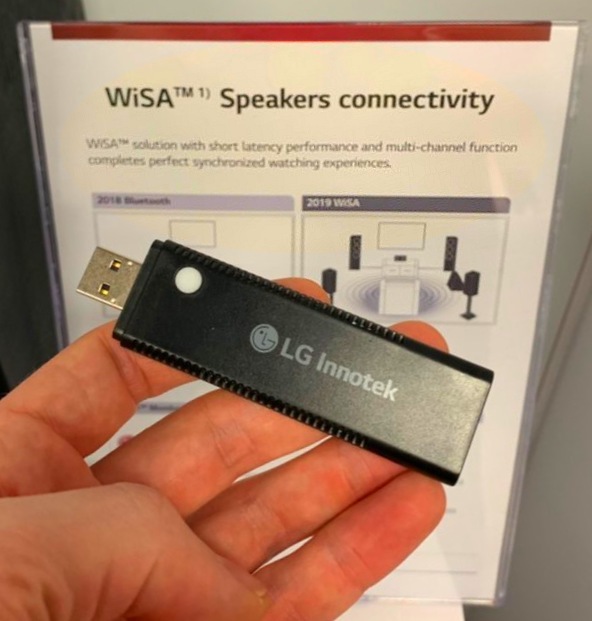 Directly from CES 2019 the Consumer Electronics Show in Las Vegas. can switch to 2.0 configuration in the menu without removing pairing. Now we have a little more to relate to than we had on page 1. 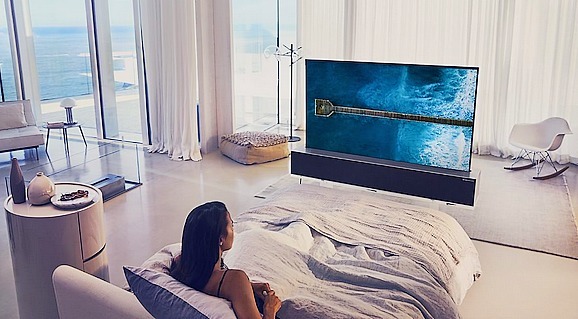 Shall we start thinking about a future with the new LG TV versions, and BeoLab WiSA. ? Shall we expect a future with one new B&O HDMI 2.1/ eARC SoundCenter simultaneously. ? Whatever that future soundbar is, both firmware and software updates better be easy. And I for one, would be willing to pay to ensure compatibility and ease. Every day around the world, a BeoVision TV breaks down and cannot be repaired. used their last LG C7. In collaboration with LG, which owns the WebOS platform. you have purchased besides WiSA-compatible BeoLab speakers. Think about it. What about the future - Every day around the world, a BeoVision TV breaks down and cannot be repaired. Then, the owners are forced to choose another brand. Eclipse stops when B&O has used their last LG C7. In collaboration with LG, which owns the WebOS platform. B&O made its own submenu system on Eclipse. If a similar solution does not exist its way, as was the case with Eclipse. What if Bang & Olufsen does not deliver a new SoundCenter and your BeoVision TV is gone. What about the other B&O products you have purchased besides WiSA-compatible BeoLab speakers. Think about it. of my setup. But I am NOT infiltrated so much into B & O's ecosystem that everything is controlled from the TV panel. Stops the heart of my setup. But I am NOT infiltrated so much into B & O's ecosystem that everything is controlled from the TV panel. I also have little faith in the future of the beovision as is, so I am looking in to other options. Like you say the heart stops. For me it has already stopped after they gently killed ML and moved on to NL. It is simply not not integradable. I have custom installers in the house and they even had trouble to instal the converter. It is not reliable, it sometimes simply does not respond. So no ML or NL for me I will use rs232 or IP control, no more dependent on any supplier or there way of moving forward. You move to Wisa, I ask Steve for cables . The result is the same no Beovisions any more and making sure we can use all our B&O gear for the years to come. From Beovision to doorbel...all B&O what rings. Chucky- that’s why I bought two BeoSystem 3s and two Beomaster 7000s. They can drive just about any display up to 1080p, can handle my older datalink sources and interface with ML and MCL2 rooms. I just use MCL2 P to drive any passive speakers from any brand I want and can connect any of my Beolab speakers as well. All with reliable copper wire. No router swapping, no interference, no drop outs. B&O offers nothing like this any longer. If I want to add WiFi or Bluetooth, I just add the latest popular device - Apple or google based or both. I’m ok with buying stuff from the used market, it’s much more affordable, but it is sad that B&O left their legacy in the dust to try to attract new customers that have no reason to develop loyalty. Yes it is a shame B&O moving this way but we get Wisa, It could eventually help us to be more independent from only B&O but Steve our sponsor will go bust. I do not want that to happen and besides wired is always better no matter what. Does anyone know why B&O Wisa Receiver doesn't have a SPDIF out so that I can connect my BL5? Mercedes and Porsche have done a nice job recognizing that many of their old but not so rare products are quite robust and have owners willing and able to keep them running. Perhaps a B&O Classic company in Europe could be successful recreating or securing parts for a portion of the line? I think the market will be very nice for BeoSystem 3, especially with HDMI output, plus ML and NL Gateways. Maybe hurt myself saying this as I lack the means to hoard any and the price for those will surely rise. 1080p is plenty for the Pipe and Harris Tweed crowd. 'B&O Classic'- company - is a good idea. I wish me a completely new B&O MMC 1 Pickup.